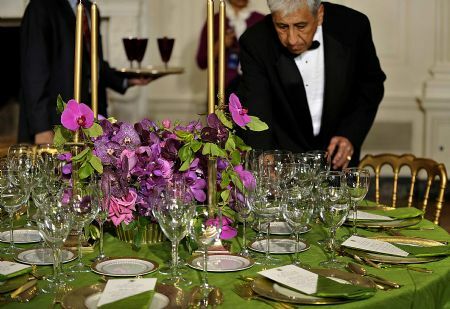 While I'm sure most of us won't have Thanksgiving tables as fancy as the ones at the White House State Dinner last night, the table setting and colors were just stunning. There is much to be thankful for this holiday season. I know one thing I'm thankful for is all of you, my blog readers, who take time out of your day to read my blog and leave comments. So, thank you, it means so much to me! I hope you all have a wonderful Thanksgiving filled with friends, family, loved ones and great food!! Right back at ya! Have a very Happy Thanksgiving! Ditto! Thanks for reading and commenting on my blog as well and thanks for this post. These images are gorgeous! 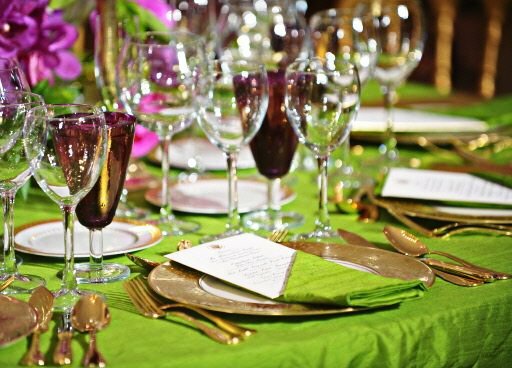 The table is so beautiful! Happy thanksgiving!!!!! Just beautiful! Happy Thanksgiving to you too!! And your newly re-done chair and pillows look fabulous in your room!! I love the nailhead trim on the chair! Oh I agree-- the colors are gorgeous! Happy Thanksgiving to you! I wish me wedding looked like that. Happy Turkey Day! I'm constantly keeping my fingers crossed that you will have a special present post soon....I can't help myself, I'm from the south. Well said lady. I hope you have a wonderful Thanksgiving! I don't know why I am just now finding your blog, but I think I'm in love! Stunning! 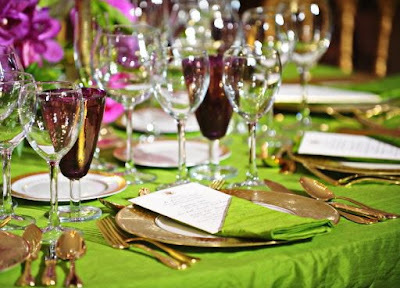 Love the gold with the lime green and purple. I love your blog! I just read a whole dang lot. Love it when I find one that has endless good posts! Keep up the good work!